Photo courtesy of Elizabeth Hollenbeck. In the past decade, the McAllen Public Library started adding books on lesbian, gay, bisexual, trans, and queer topics and by LGBTQ authors to their collection and displayed them during Pride Month over the years. Then in 2016, the library took notice of what was happening around the Rio Grande Valley and was inspired to take action. The library soon reached out to various community groups and organizations like the South Texas Equality Project, Valley AIDS Council, Aqui Estamos RGV, and South Texas Alliance Mentorship and Pride. That first Pride Month at the McAllen Public Library had presentations on RGV LGBTQ history, making long term LGBTQ relationships work, the intersections between immigration and the LGBTQ community, misogyny and biphobia in the LGBTQ community, and a workshop and open mic with Valley queer poets. The second installment in 2017 had a presentation for parents of LGBTQ tweens and teens, the first-ever South Texas Trans Town Hall, a look at Pride parades from around the world, a presentation by Neta about why media representation matters, and the introduction of the Lavender Literary League, a book club that centers literary works by and about the LGBTQ community. 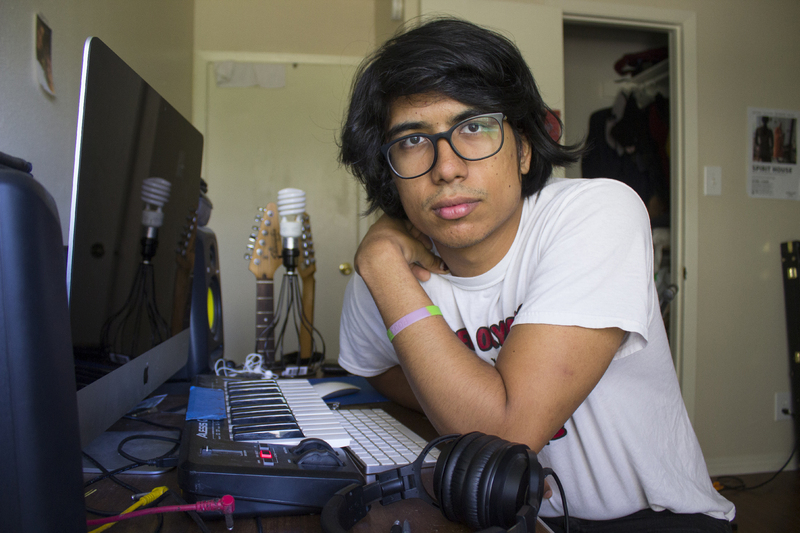 This year’s third annual line-up starts with “A Look into the History of the Valley’s LGBTQ+ Community” with Gabriel Sanchez on June 13, and “Writing Autohistorias from Conocimiento” with the WAKE-UP! collective on June 19. In the second half of the month, the Pride Month series will continue with the “Lavender Literary League” on June 20, “Gloria Anzaldua: A Celebration of Literary Works, Life and Legacy” on June 26, and “Coming Out 101” on June 27. The McAllen Public Library Children’s Department will also have a special presentation on “Storytime: Love Makes A Family,” a storytime and craft session celebrating Pride Month for children and their families, on June 21. When the McAllen Public Library first started Pride Month, Hollenbeck was conscious that there could be some backlash, as a series like this had never been attempted before in a public library in the Valley. Hollenbeck feels this is the best Pride Month series yet from the McAllen Public Library and that it showcases how far the library has come with their committment to LGBTQ awareness.